With the first pre-season game week here below is how prices for Cowboys tickets stack up on the secondary market across the league. As you can see below, Cowboys tickets are down 36%, which is the 4th biggest drop from 2017. That's also the lowest price for Cowboys tickets since 2011, when the Cowboys finished 8-8. Last year, amidst sky-high expectation, the Cowboys average ticket price reached as high as $402 in the pre-season, before Ezekiel Elliott's six game suspension, which the team wasn't able to recover from. While tickets are cheap this season compared to year's past, there's still almost the 10 most expensive teams in the NFL and remain sold out for most games. For secondary market listings, TicketIQ offers a Low Price Guarantees for all of the games listed below. 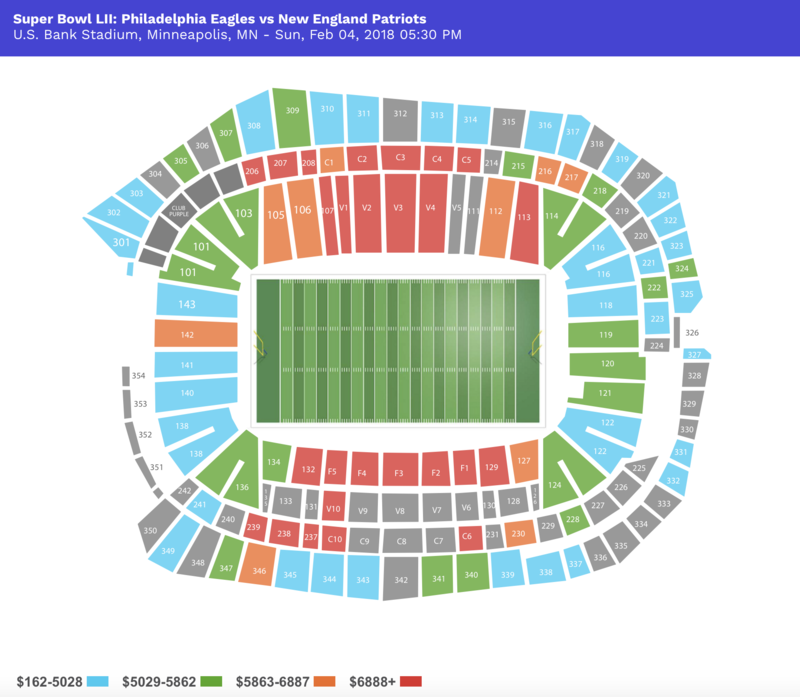 The cheapest SEATED secondary listing for most games is around $100, while fans can get standing room for $30 directly from Seatgeek, their new primary ticketing partner for this season. Not surprisingly, the World Champion Eagles late-season visit is the most expensive game of the year. If the Cowboys are in the hunt for the playoffs when the Eagles pay their annual visit, prices for that game are likely to go up. If the Cowboys can return to their 2016 form on the field, they have a reasonable schedule to help the find their way back to the playoffs. Of the 32 NFL teams, the Cowboys rank 15th for strength of schedule across the league. Outside of the NFC East opponents where tickets start above $125, prices drop as low as $69 for seated tickets to non-divisional games. The cheapest ticket available for any game at AT&T stadium is $17 for a standing room only ticket against the Lions, one of the four 2017 playoff teams the Cowboys face at home in 2018.